2019 Summer Camp Special Guest Instructor, Piotr Masztalerz started aikido training in 1988 with Daniel Brunner Shihan (6th dan). From 1999 to 2000 he trained with Kanetsuka Shihan in London. He was also an uchi deshi to Gabriel Valibouse Shihan in France, trained with Juba Nour Shihan in USA, and was an uchi deshi to Kazuo Chiba Shihan. He taught at the University of Wrocław and at the Wroclaw University of Technology. Masztalerz sensei conducts classes and seminars in Poland, throughout Europe, and also in Chile, Kenya, Russia, and USA. Under Masztalerz sensei's supervision, his students opened the first dojo in Nairobi, Kenya. Wrocław Aikikai was established in 1997 and since 2010, there have been 26 uchi deshi from 15 countries training at the dojo. Frank Apodaca Sensei began his Aikido training in 1985 at the San Diego Aikikai under the direction of T. K. Chiba, 8th Dan, Shihan. In 1987, he was accepted into Chiba Sensei’s Kenshusei program and became uchi deshi. In addition to aikido body arts, Apodaca sensei studied meditation, iaido, and Chiba sensei's weapons system consisting of jyo, bokken and tanto. Upon completing his apprenticeship in December 1994, he moved to Portland, Oregon to teach Aikido full-time as the Chief Instructor at Multnomah Aikikai. Apodaca sensei founded founded the Mid-Michigan Aikikai (MI) in 2000, and Deep River Aikikai (NC) in 2010. In 2017, Apodaca sensei was awarded the title of Shihan (Master Instructor) by Aikikai Hombu Dojo. Deena Drake Sensei began her Aikido training with M. Flynn Shihan at Alameda Aikikai in 1995 and subsequently joined the kenshusei (teacher training) program in 1997. After spending one year training with T.K. Chiba Shihan in San Diego in 2000, she returned in 2004 to further deepen her practice under his guidance. Drake Sensei graduated from the San Diego Aikikai kenshusei program as a fully certified teacher (Shidoin) in 2007. During her years in San Diego she trained intensively with both T. K. Chiba and M. Murashige Shihan and is grateful to both for the time and energy they invested in her development. In 2008, Drake Sensei assumed the role of Chief Instructor of San Diego Aikikai upon the retirement of Chiba Shihan. Drake Sensei was a member of the Examination Committee for seven years and is currently a member of the Birankai North America’s Board of Directors. When she isn’t at the dojo, Drake Sensei works as an Advance Practice Nurse in the Emergency Department and Intensive Care Unit at Scripps Mercy Hospital in Chula Vista, California. 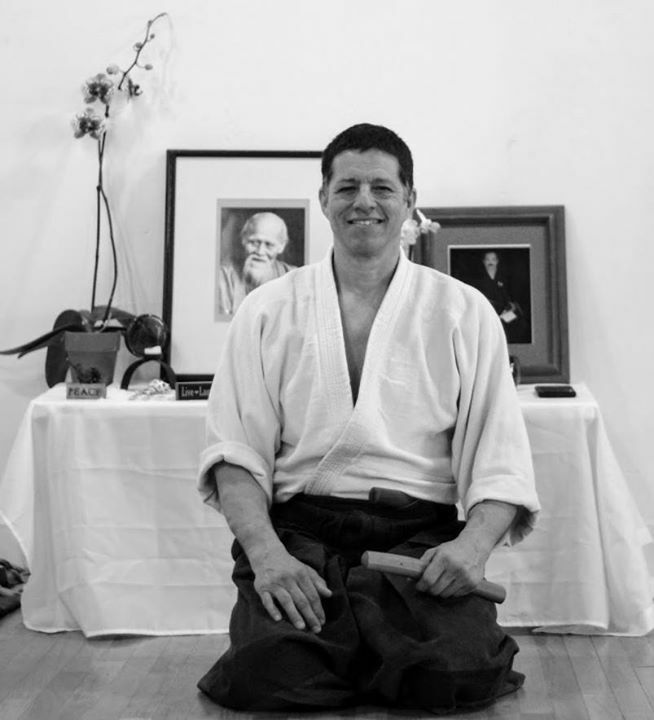 Ryūgan Robert Savoca began training in aikido and judo at the age of 12 in San Diego County. He continued his training at UCLA, and later at the WLA Aikido Institute. He later moved to New York and studied with Juba Nour Shihan. Moving back to San Diego, he became uchideshi to Chiba Sensei and traveled with him extensively. 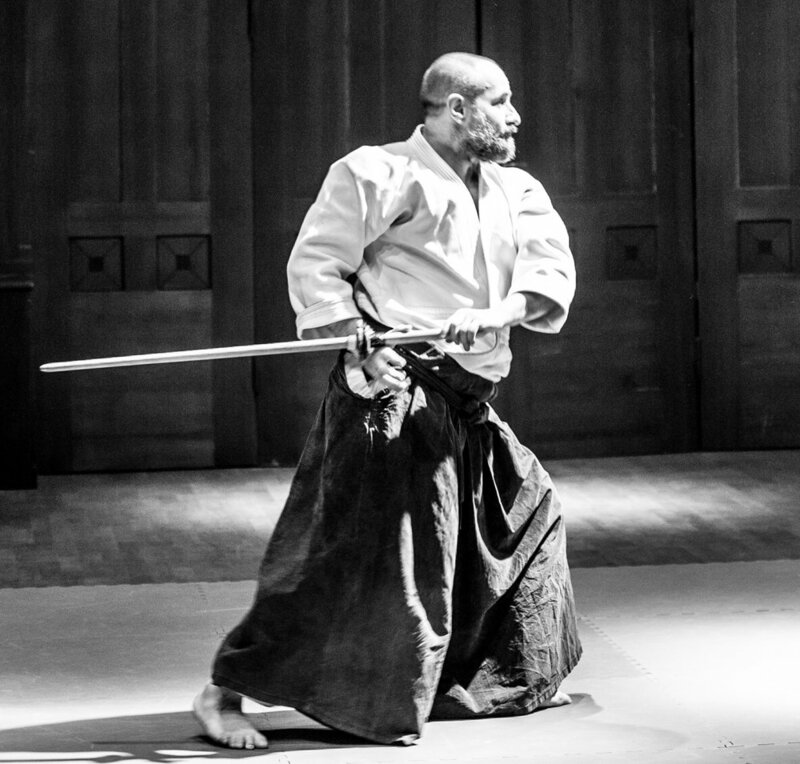 He founded Brooklyn Aikikai in 2001. John Brinsley began aikido in Kobe, Japan in 1991. 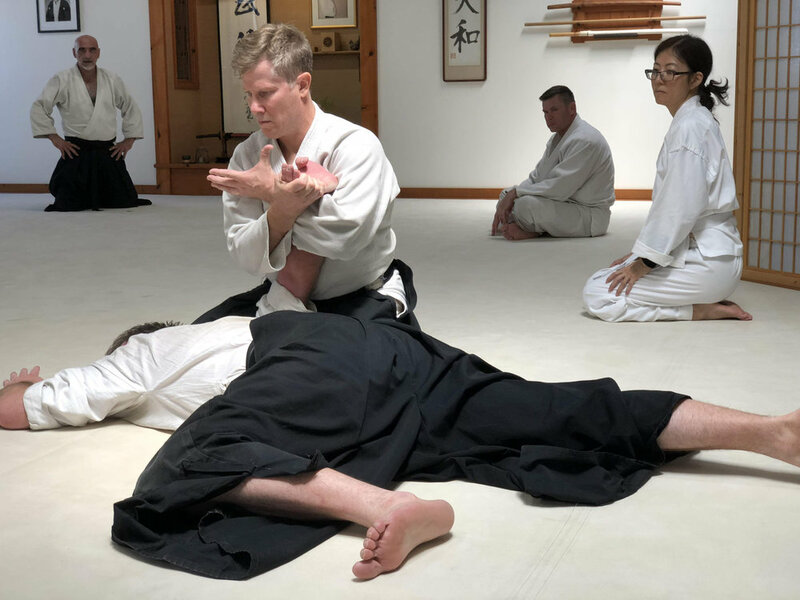 He spent a year each practicing at the Midwest Aikido Center and the New York Aikikai before moving to Tokyo in 1996 and training at Hombu dojo. He returned to Los Angeles in 2013 and succeeded Jack Arnold Sensei as chief instructor at Aikido Daiwa.